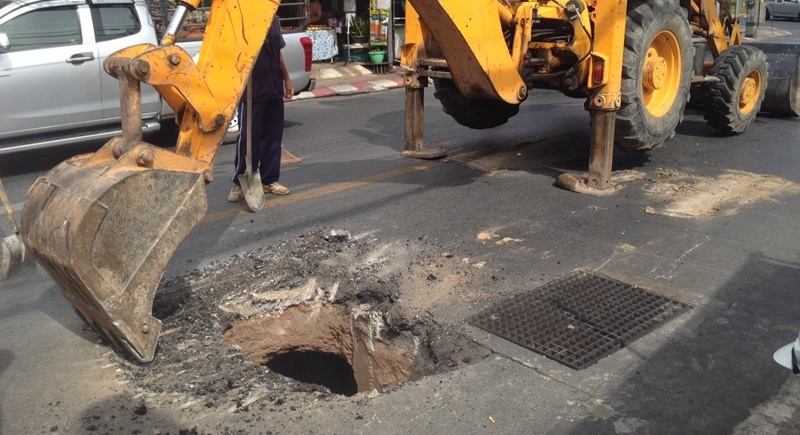 PHUKET: Officials were forced to close a small section of the southbound lane of Yaowarat Rd in Rassada yesterday afternoon and earlier today after a two-metre deep sinkhole appeared in the road yesterday afternoon. The road has since been repaired and is back open to motorists. 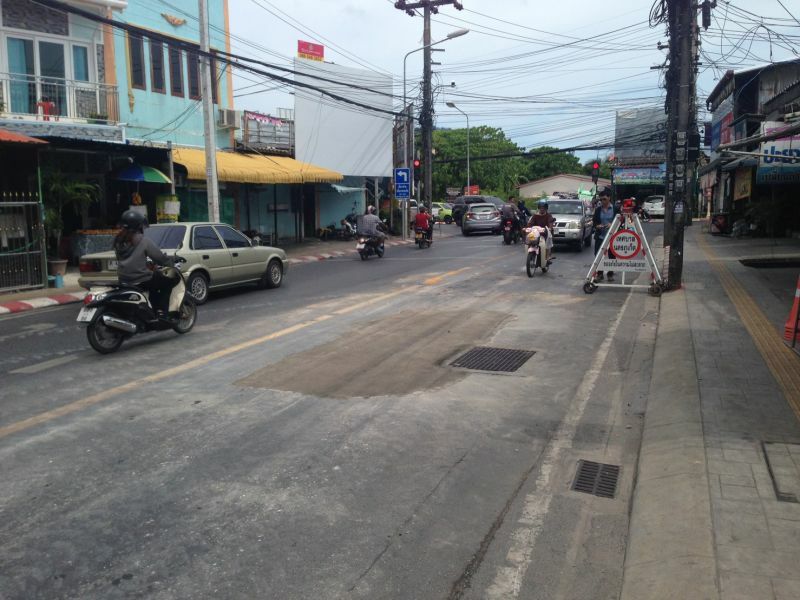 Speaking to The Phuket News today (Feb 23), Lt Col Vachira Puenkchan of the Phuket Traffic Police, said, “A sinkhole was discovered in the middle of the southbound lane of Yaowarat Rd leading from Samkong to Tesco Lotus yesterday afternoon (Feb 22). “Phuket City Municipality officials went to inspect the hole, but despite the hole only being 80 centimetres in diameter they discovered it was about two meters deep. “This area has suffered flooding many times in the past which is likely to have caused the sinkhole. “We set up signs warning drivers that they should use an alternative route as motorists were experiencing delays in their journey times,” he said. Late last year a large sinkhole appeared in Thepkrasattri Rd right beside a busy bridge over Bang Yai Canal in Phuket Town.